The Maltipoo is a Maltese Poodle mix. Small dogs, they weigh just 5 to 20lbs, depending upon the type of Poodle parent. They are designed to have hypoallergenic coats, but this is not always the case. Despite this the Maltipoo dog is a very popular cross breed, and one look at an adorable Maltipoo puppy is enough to melt anyone’s heart. Do Maltipoos Have Health Problems? How Much Is a Maltipoo Puppy? Is a Maltipoo A Good Family Dog? What Is The Temperament Of a Maltipoo? It’s easy to be smitten with the Maltipoo, but before you get one, there are some important things you should know about Maltipoos. Or any gorgeous designer dog like the Maltese and Poodle mix. Let’s take a closer look at all things Maltipoo! Welcome To Our Complete Guide To The Maltipoo. The Beautiful, Adorable Maltese Poodle Mix. A Maltipoo is a cross between a Maltese and a Poodle. Usually a Toy or Miniature Poodle and not the larger Standard Poodle. 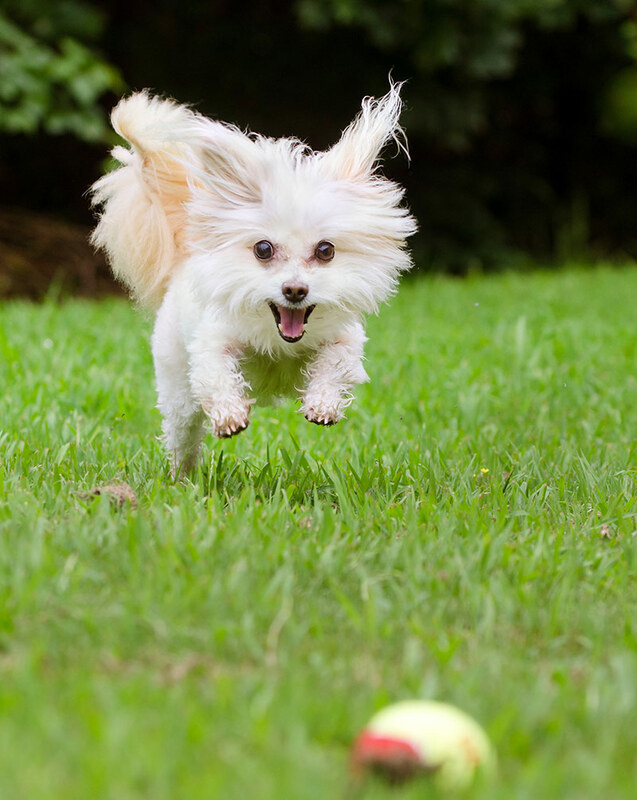 The Maltese is a toy breed known for its silky white coat, black button eyes, and loving, perky personality. An ancient breed originally from the island of Malta, the Maltese has been a pampered lap dog for many centuries. The Poodle has been a popular choice for many cross-breed dogs like the Maltipoo, Labradoodle, and Cockapoo. Poodles are known for their intelligent, active nature. They also have a hypoallergenic coat. Like the Maltese, the Poodle is an old, established breed that has been around for a very long time. What is the history of the Maltipoo? Let’s take a look. Designer mixed breeds like the Maltese Poodle cross are a fairly recent development in canine history. Breeders often choose Poodles to cross with other breeds, with the goal of combining the Poodle’s hypoallergenic coat with the other breed’s looks and personality. 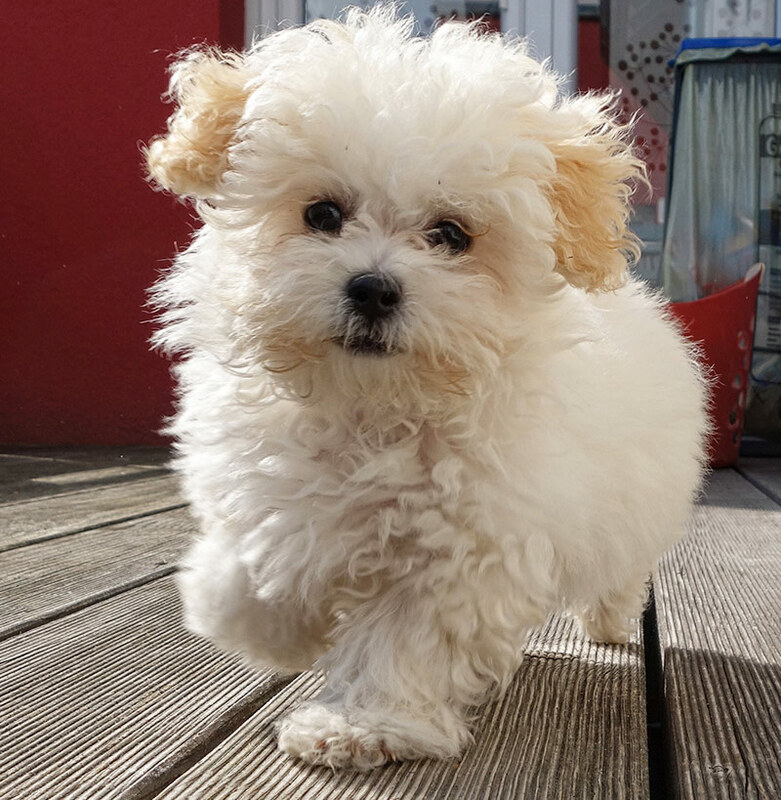 In the case of the Maltipoo, the Maltese crossed with a Toy or Miniature Poodle aims to create a charming, teddy bear-like little dog with a happy and affectionate personality. However, as with any cross breed the outcome is not predictable. You could have a pup that looks like a Poodle, but has a Maltese temperament. Or a dog with a Maltese appearance and a Poodle personality. Or any range in between. So you need to be certain that you love both Poodle and Maltese temperaments and looks before you choose a Maltipoo puppy. How big do Maltipoos get? Maltipoo adults are generally small dogs, like their founding breeds. The Maltese is a toy breed, ranging from 6-8 pounds and 8-10 inches in height. Toy Poodles weigh between 4-6 pounds and measure 10 inches high. Miniature Poodles are a bit bigger at 10-15 pounds and 10-15 inches. Because either toy or miniature Poodles are used in the Maltipoo, the size of a full grown Maltipoo can range from 5-20 pounds and 8-14 inches tall. This variation means that your puppy can grow to be a true toy Maltipoo, but could also be a bit larger too. You won’t be able to predict your Maltipoo’s adult size, but you can guess that it will be somewhere between the maximum and minimum heights of their parents. Both Poodles and Maltese dogs are known for their engaging and charming personalities. With the Poodle getting high marks for smarts and the Maltese for affection. Being a mix, your Maltipoo puppy could grow up to be more like her Poodle ancestors, or more like her Maltese ones. Whichever turns out to the be case, a good temperament should always a high priority for Maltipoo breeders. The Maltipoo is well known as a sweet and loving companion animal. Like all dogs, the Maltipoo needs good training and socialization from puppyhood on. New owners should be aware that they can bark more than other dogs, and their devotion to their humans can lead to separation anxiety. Are Maltipoos hypoallergenic? One of the main goals of crossing Poodles with other breeds is to create a dog that’s good for people with allergies. Is this true for the Maltipoo? First the bad news…there is no such thing as a 100% hypoallergenic dog. Most pet allergies are due to dander—dead skin flakes—not any particular kind of fur. Certain breeds like Poodles have less dander and shed less than other breeds, which can be good for people with allergies. The Maltese, like the Poodle, also does not shed much and is frequently listed as one of the more hypoallergenic dog breeds. This is all good news for Maltipoo lovers! Your Maltipoo will not shed fur and dander as much as other dog breeds, and could be a good choice if you have allergies. But this is by no means a certainty. Be sure to spend time with Maltipoos in their home environments to see how you react before bringing a new Maltipoo puppy into your home. Meet both the Poodle and Maltese parents, and make sure they both have temperaments you would be happy to share your life with. Poodles and Maltese are both low-shedding breeds, which is good for allergies as we’ve seen. However, minimal shedding doesn’t necessarily mean that their coats are low maintenance. Although the Poodle has curly fur and the Maltese has straight fur, both Poodles and Maltese have long coats that require weekly grooming, as well as regular baths and trimmings. The Maltipoo’s coat is medium to long in length, with a soft, fluffy texture and some degree of wave or curl. Your Maltipoo will need regular grooming and baths. Many Maltipoo owners also clip their dog’s fur, especially on the face. Are there any Maltipoo health conditions new owners should know about? 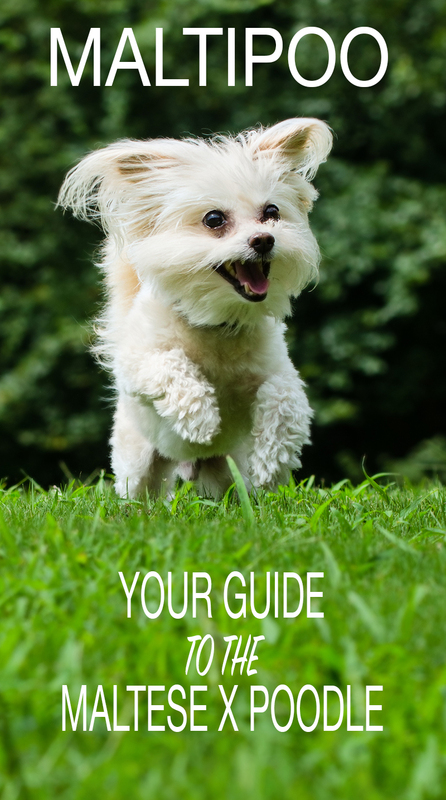 If you are considering a teacup Maltipoo, it’s important to understand the health problems of so-called “teacup” varieties. Dogs bred for extremely small size can suffer from serious health conditions like fragile bones and improper bone development. Many teacup dogs will have soft spots on their skulls even when they are full grown. A normal size Maltipoo has the genetic advantage of being a cross breed. Because pure bred dogs can suffer from inherited diseases, mixing breeds can lead to a more diversified gene pool and more robust health. What are some of the genetic conditions common to the Maltese and Poodle? A heart condition called mitral valve prolapse has been identified in some Maltese. A serious brain disease called necrotizing meningoencephalitis is also found in the Maltese. Standard Poodles can be prone to a variety of autoimmune conditions. However, they are not usually used to breed the Maltipoo. More common issues in miniature Poodles are orthopedic and eye problems, as well as epilepsy. Will a Maltipoo inherit the genetic diseases of Maltese and Poodles? A Maltipoo can get certain health conditions from its founding breeds. Every dog is an individual, but there are a few problems new Maltipoo owners should be aware of. Maltipoos can suffer from the neurological conditions “white dog shaker syndrome” and epilepsy. 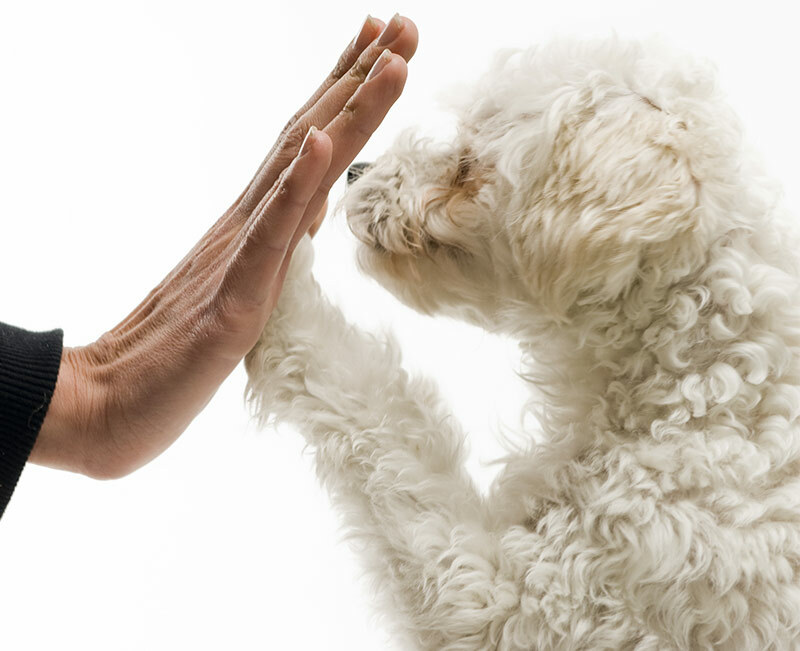 Maltipoos can also be prone to joint and orthopedic problems that are common to small dogs. An eye disease called progressive retinal atrophy can also occur. What is the Maltipoo life expectancy? Of course, all dogs are individuals, but in general the founding breeds of the Maltipoo have relatively long lifespans. The average life expectancy of a Maltese is 12 years. For miniature Poodles, the average lifespan is 14 years and for toy Poodles it’s 13 years. Maltipoos are generally given a range of between 10 and 15 years, with 12-13 years often listed as the average lifespan of a Maltipoo. Like other small breeds, they tend to have longer lifespans than large breed dogs. Interested in a Maltipoo puppy? Few puppies are as adorable as the cuddy, teddy bear-like Maltipoo! Here are a few facts about Maltipoo puppies. Maltese-Poodle puppies are the result of directly breeding a toy or miniature Poodle with a Maltese. Less common are puppies that come from two Maltipoo parents. A reputable breeder will be able to provide details on your puppy’s parentage. Because Maltipoos are known to have some of the genetic health conditions common to both Maltese and Poodles, it’s important to have your new puppy health tested for issues that affect both parent breeds. Your Maltipoo puppy’s parents should have certification from both the Orthopedic Foundation for Animals and the Canine Eye Registry. Progressive retinal atrophy can be ruled out with a DNA test. A Maltipoo’s puppyhood lasts until he is one year old. Start housetraining your Maltipoo puppy right away. 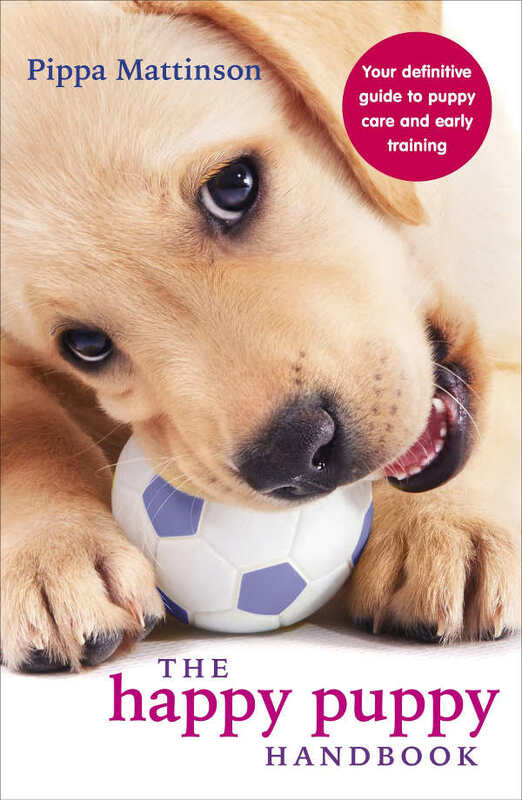 Other forms of socialization and training can start early too. The most common behavioral problems you will want to focus on are barking, separation anxiety, and jumping. Like other designer cross breed dogs, Maltipoos are not recognized by the American Kennel Club or other similar organizations. But you can still find reputable breeders if you’re looking for a Maltipoo puppy. It is always a good idea to search for Maltipoo breeders in your area that welcome a home visit from potential buyers. That way you can check out the home environment where your puppy is raised. A good breeder will also like to meet you to make sure their puppy is going to a good home. Cute, small dogs like Maltipoos are always popular. You will see online ads for Maltipoo puppies, and it is common to find Maltipoo puppies for sale in pet stores. It is possible that these puppies come from large-scale puppy mill breeding operations. To avoid buying from a puppy mill, make sure you choose a small-scale local breeder who raises the puppies in a loving home environment. Visiting a breeder in person and talking to other customers is a good way to make sure you are getting a quality dog. How much will you pay for a Maltipoo puppy? The cost of a Maltipoo puppy purchased from a breeder can vary. Maltipoo prices range from around $400 to as much as $2,000. Expect to pay around $700-$800 for a dog from a good breeder. Remember that Maltipoo puppies for sale online and in pet stores can come from puppy mills. Very low prices could be a red flag, and you may find that you will be spending the money you save on vet bills instead. A quality puppy from a good breeder is worth the extra cost. Breeder prices will vary, depending on things like their reputation, geographic location, the lineage of their dogs, and the demand for their puppies. Interested in Maltipoo adoption instead? Maltipoo rescue is a great option for fans of the breed who would rather adopt, not shop. Because Maltipoos are so cute and popular, many Maltipoo puppy purchases can be impulse buys by inexperienced owners. This means that some of these Maltipoos will end up at animal shelters or rescue organizations. There are established rescue organizations devoted to Maltipoos, other Poodle mixes, and small dogs in general. Many Maltese breed rescue groups will also have available Maltipoos. Most major metropolitan areas will have a rescue group that focuses on dogs like the Maltipoo. 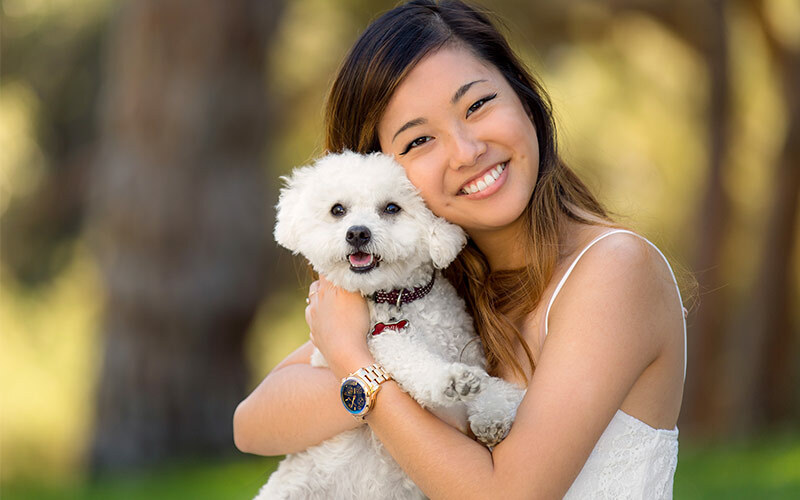 You can search these specific breed-type rescue organizations for adoptable dogs, but most animal shelters and nationwide rescue clearinghouses will identify Maltipoos and allow you to specify “Maltipoo” as a breed in your search criteria. Is a Maltipoo right for me? Would a Maltipoo fit in well with your family? These chasmatic, intelligent little dogs will thrive in an environment where someone is around for much of the day. With owners who are commited to training, socialization and regular exercise. As well as a whole lots of love. 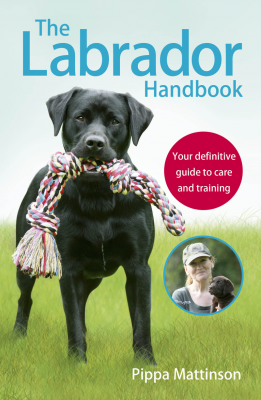 You will need to make sure you find a good breeder, that health tests there stock. And would be advised to go for a Miniature rather than Toy mix, as they are less likely to be so small and fragile. Maltipoo personality can be as gorgeous as their appearance, and these lovely little dogs can make wonderful pets. Farrell, L.L., Schoenebeck, J.J., Wiener, P., et al. “The Challenges of Pedigree Dog Health: Approaches to Combating Inherited Disease.” Canine Genetics and Epidemiology, 2015. Oberbauer, A.M., Belanger, J.M., Bellumori, T., et al. “Ten Inherited Disorders in Purebred Dogs by Functional Breed Groupings.” Canine Genetics and Epidemiology, 2015. Suh, S.I., Choi, R., Hyun, C. “Familial Mitral Valve Prolapse in a Maltese Dog Family.” Journal of Biomedical Research, 2015. Schrauwen, I., Barber, R.M., Schatzberg, S., et al. “Identification of Novel Genetic Risk Loci in Maltese Dogs with Necrotizing Meningoencephalitis and Evidence of a Shared Genetic Risk across Toy Dog Breeds.” PLoS ONE, 2014. Pedersen, N.C., Brucker, L., Green Tessier, N., et al. “The Effect of Genetic Bottlenecks and Inbreeding on the Incidence of Two Major Autoimmune Diseases in Standard Poodles, Sebaceous Adenitis and Addison’s Disease.” Canine Genetics and Epidemiology, 2015. I am looking for a young maltipoo female . I had a rescue mantis and she lived to 20! I loved her and miss her. I am very interested in adopting a maltipoo that you are talking about!! How do I go about this? WHO do I contact?? Oh my ! Sounds just like my little guy I bought last year. Didn’t pay much and could tell immediately he wasn’t well cared for. He was listed as a Maltipoo, I even got pics of mom and dad. As you said with yours, my Charlie has beautiful green eyes, extremely sensitive pink skin and pink tinted nose and eye area. He is the best thing ever, I just love him to death ! Would love to compare . Hair cut but I don’t want anything drastic that will take away from the puppy cuteness. He’s has had the basics, nail, bath, blow dried an brushed. Aslso potty trail has been cleaned up. What kind of cut will be the best. I don’t want to shave him. Do I want the father or mother a certain breed of Maltese or poodle? Does it make a difference? I live in Greenville NC and I would like to find a small maltipoo, poodle or Maltese furbaby, to adopt or purchase. Can you help? I took her for walk second day she was scared third day she is happy running, in less than a week she sit and keeps good try to do business on right spot! Looking for a female puppy light color. Lost my previous Multipoo after almost ten years. Love this breed. Smart and sweet. Where do you stay. I have 3 boy malapoo pups. I live in Houston Tx they are toy and four weeks old. Could I have some info on your puppies? Hi, I live in Illinois, Quad Cities area. Am looking for a Maltipoo breeder. I lost my very special Maltese, Lizzie, 8wks ago to CHF. The say before she wanted to go out for her walks, the next day I was taking her to the ER. I had her 9 1/2yrs.she was my ESA. I brought her with me to visit my daughter & grandson in Baltimore & now I’ll be going home with her ashes. It has been a very hard road. I’ve been thinking of a Maltipoo or another Maltese, but do a Rescue this time in South OC, CA. Any suggestions? Debbie- So sorry for your loss. I recently adopted a rescue Maltipoo female 23 months old. She’s spayed & chipped. I’m older & have disability so training her is too much for me. She needs socialization. I live in N. San Diego county. If you are still looking, we should talk. IAm interested in adopting a miniature maltipoo. I would prefer a rescue one but have been unsuccessful. I would be willing to buy. Are there any reputable breeders in the NJ/NY/CT area? I’m in the same situation. Would love to find a Maltipoo to adopt. We have an 8 year old cockapoo. He could use some company. I work from home so can handle a pup or older. Lisa- Did you find a Maltipoo? I just recently adopted a 1 year old Maltipoo. I wanted a friend for our 3 year old Cockapoo! Similar to your situation. Just to let you know, these two hit it off immediately and are the best of friends already. I registered with “Adopt-a-Pet”, wherein you describe what you are looking for, and when they come across a pet similar to your wants/needs, you get an automatic email with their pictures, and info about them. Thats how I found my Maltipoo. But the Maltipoo and Cockapoo do great together!! I HAVE A 4 MONTH MALTIPOO MALE. HE IS ADORABLE. HE NEEDS A FRIEND. WHERE IS THERE A REPUTABLE BREEDER IN THE MASS OR NH AREA? EVEN MAINE? Hi, Carol. Did you find a Maltipoo breeder near MA? I am interested in getting one as a therapy companion for my granddaughter. How can I know if my dog is really a maltipoo. Is there any kind of tests to know exactly the breed she is? Is it expensive? Do a dna test. That’s what I did. I got the test from Groupon. Cost $49. My maltipoo came out of a shelter. I am looking for a reputable Maltipoo breeder in Los Angeles. I am interested in purchasing a Small Maltipoo for my 14 year old daughter. So glad to have seen this post. I am a newbie to dog world. I am looking for a maltipoo pup for myself and my son. I am a full time working mom and spend 12 hours out of the house. I would love advice about things to consider with either purchasing a pup or adopting one. I live in Northern NJ and would love advice on good breeders in the nearby area. I toally agree. I have a Cacalier and these types of dogs, poodle combined or not, need extra attention. I feel like that post has to be a cruel joke. What little boy or girl human being wants to be alone more than all day. How can that lady have a son and be gone 12 hours. Joke or not, anyone taking ANY DOG needs to be 1000% like a mom or dad to it. It’s almost abuse not to be there. My 10 ur old full bred Cavalier outlasted the MD predictions but finally passed away from cancer less than 3 months ago. My 8 year old Cavalier is now alone. More importantly, I miss him dearly and have been slowly considering another but I want to mix the dog with poodle for the fur and intellect benefits. Maltipoo is very cute. 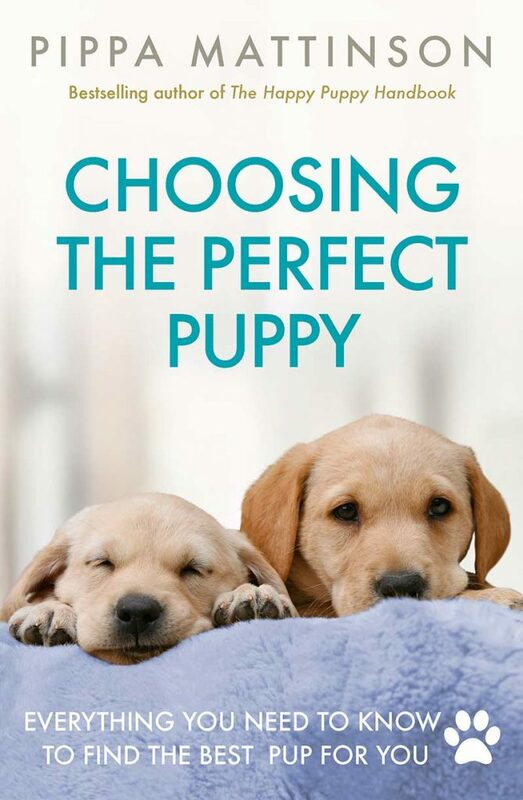 I’m leaning towards that or a Cavapoo if the right guy came along. He doesn’t have to be a puupy. Under 3 years would be best because these guys don’t have long life spans. Well, I intended to “reply” to that selfish lady who shouldn’t be able to buy or adopt. I put in the rest just in case. I live in South FLorida and have alrge fenced yard and everything a dog would want. If you all hear anything…. You have no right to judge or call this woman any names when you do not know her full situation. Maybe she is working all these hours to take care of herself and her son. Maybe her son is at home the other hours with someone that is helping them. So her son will have a furry love to play with while she is working and not able to stay home all day like some of you. The price is high for those puppies and some of us have to work in order to afford them. To give them all the love and things they deserve. Not that you cruel women who speak and call names without knowing the full story. She was asking for advice and instead all you can do is call names. SHAME ON YOU! A maltipoo is def not for they require and thruve well when someone is home majority of the day. But I feel like that the case with most animals. Maybe get a fish. Is your puppy still available? Yes I am looking for a multiple less than 10 lbs……I would prefer an older puppy but open to age! breeders in New Jersey or Pennsylvania? This is exactly what happened to my mom when she saw a maltipoo at a flea market. My mom saw it and had the immediate impulse to buy it. We still have Bear, he’s a sweet little dog, but mom is VERY inexperienced with taking care and training animals, so now he’s 6 years old and he still barks a lot, does his “business” in the house, and jumps on people and tables alike. I started doing research so late into buying him because she keeps saying she’s going to get rid of him and now I’m sad because I’m the only person in the house that actually likes the dog, and I can’t train him now because of how old he is. He may be six yrs old but you can still train him. In order to do that you need to get him out of your mom’s house. Take him home with you and spend lots of time with him. 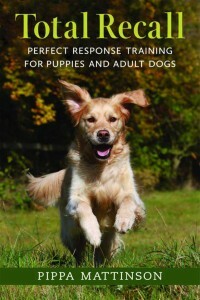 Also take him to training classes or look online as to how to train him with love and plenty of PATIENCE. You will be rewarded with a loving loyal companion. My Laci is 3 1\2. She’s still very trainable. It would be much better if other people would but out and quit saying “oh she’s ok, I don’t mind” . She’s a very smart and intelligent, sweet and special little girl. My rescued Maltipoo is 3 years old. I have had him for almost 2 years. I have worked with him and he is a lot better than he was. He snaps at you if you come up behind him or put your foot at the door to keep him from running outside. He also runs off from me when I take him out if I don’t put him on a leash and he won’t come back to me when I call him. He eventually comes back when he gets ready to. He is so sweet and I love him very much, but he is very independent. I have a friend with Maltese/Maltipoo mix puppies. She is selling them for $800-$1000. Are these mixes a valuable as Maltese/Poodle mixes? Do you think she is asking too much? I got a Maltipoo as a puppy through a rescue and paid 250.00 which included the spaying, a few free shots, and a free vet exam. I definitely would never pay even 800. oo dollars for one. I rescued my Maltipoo and only paid $100. I would never pay that much for a mixed breed puppy. There are just to many wonderful little dogs needing forever homes. My $100 paid for the spay and her shots. They didn’t make any money off of her. where did you rescue the dog from? very Curious I think it will be more than that. I am looking for a small male puppy as our vet states our 3 yr. old 4lb. Maltese Pappilon mix needs to be introduced to a small breed male puppy if we want another dog. Do you have any info. regarding these puppies? Where is she located? I have found puppies from around 450 to 1000. 1000.00 is too much. I am looking for a breeder in Virginia/Maryland/North Carolina areas. I am interested in a Maltipoo puppy or young adult for sale or adoption. My kids are grown and gone and I think this is the perfect breed that I am looking for. How do I find a reputable breeder in Oklahoma? I adopted a maltipoo from a breeder in the Tulsa area and we are very happy to have her. Do you know of a breeder in eastern NC or eastern VA? Did you find one? I am also looking for one in the same area. I am interested in a 6 week old female multipoo. I live in Springfield, OH. Would like to buy one close to my home. Please help me fine a white puppy. Interested in Maltipoo in central Florida. Do you recommend a good breeder in that area? Interested in adopting, acquring a maltipoo puppy or dog. I can visit, purchase dog anywhere in Florida. Love the maltipoo breed. Can you recommend responsible multi-poo breeders in Northern California (Bay Area)? I am interested in purchasing a maltipoo puppy as a companion dog for my husband who has been diagnosed with Alzheimer’s, I live in Brisbane Australia, if you could give me a contact here I would be greatly appreciative. Gay McKay. I am interested very much in a Maltese poodle!❤️ Mine was stolen! Mine was stolen also. I’m looking to rescue one. I know how you felt when your baby was stolen. I have been crying day and night since July 3. I miss him so much. We live in S Orange County, CA in Laguna Woods and have owned three toy poodles that lived about 13 years and now we are looking for a new companion dog. So our first choice is a toy Maltipoo from a reputable breeder. Can you recommend one? Janice, I live in Pasadena. I got my Maltipoo from DOGzHOUSE based in Glendale, Ca.. Yoko is wonderful and she has a website and a non-profit tax number. I paid $250 for mine & included all shots, spaying, worming. She does check out the home and also brought food, collar, leash. “Hathor” does bark at the right times, but unfortunately also on walks at other dogs. but very smart, as said before, mind of her own, but listens. 3 1/2 years old. Loving. Anxiety problem. Might have to get another dog. My 5th dog. Never needed a trainer, but at this age, problem re the walks which she LOVES. Clearly not abused, but also not trained. Does not know how to bring a ball back. Needs lots of affection and people/dogs around, but this is the breed, so don’t get one unless you are ready for all of it. I live Iin San Leandro, California and got lucky. I found my Abby Rose on Craigslist. I tried going the adoption route with no luck. Abby came from a private home, one of two puppy litter. She does require a lot of attention, a lot of grooming if you keep their hair long. Yes, my Abby has separation anxiety issues, even when I take a shower. She’s been potty trained to go on potty pads. She might miss the pad now & again. She is just 5 months, still a baby. She is very smart. We have her in Puppy Play Time class and other classes offered by Petco. I love my little Abby & wouldn’t trade her for anything. Good luck in your search. I have a 5 month old maltipoo. Do you have a homemade puppy and also adult dog food recipe for their breed? Looking for a Maltipoo fo companion ship. Love this breed!!! We would love to find one near our home so we can see it before we adopt. I just lost my beloved Shammah, a malti-poo I rescued 5 years ago…he was almost 10….had COPD and he died in my arms when his heart gave out….my life has been altered. Never have I had a dog like him. We purchased what we were told was a poodle, but quickly recognized our fur baby was a mix of some kind. We believe he is a malti poodle mix. He is completely black except for his tuxedo markings. He is a delight, loving, friendly, and oh so smart! I really enjoyed your article. We just lost our precious YorkiePoo and think our next dog will be a MaltiPoo. Can you recommend a breeder near San Diego? Do you think this breed would be calm and not happy?